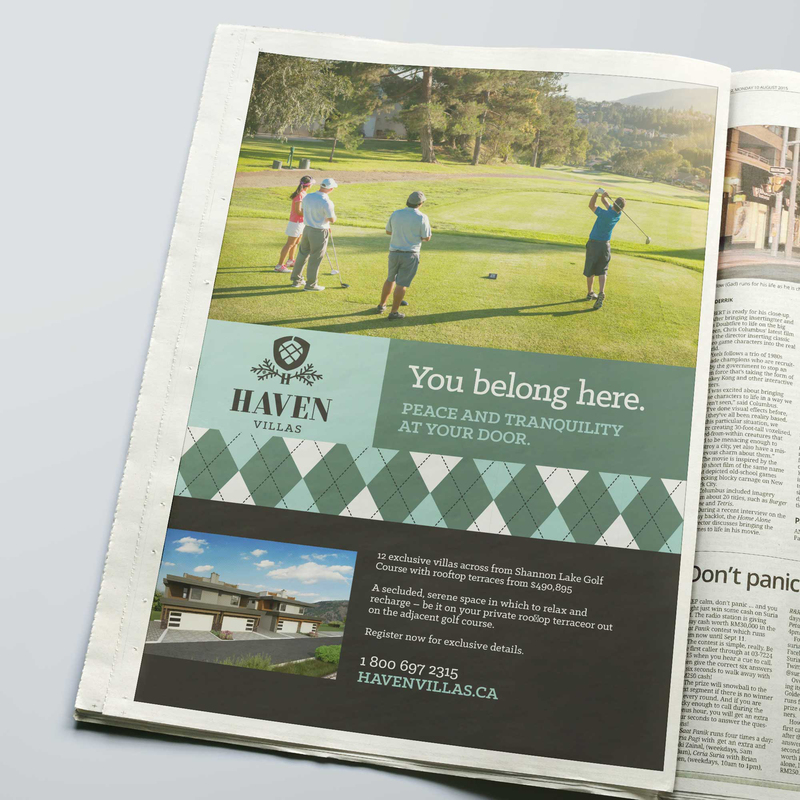 Brandnetic was tasked with branding a new gated community in West Kelowna. These 12 exclusive homes required a high end look and feel with a country club-esque theme seeing as the development was located directly across from beautiful Shannon Lake Golf Course. Our first instinct was to craft a crest device that evoked the natural surroundings of Haven Villas, given the location amid a copse of ponderosa pine and spruce trees. The branding also included an argyle pattern device – just one more connection to the golf lifestyle available to future residents. A contemporary colour palette brought the brand to life across all mediums – from marketing materials and print ads to the landing page.